We’re more than halfway through the semester and we’ve seen that the Student Government Association (SGA) has thus far had a lackluster approach to solving the university’s plethora of issues. 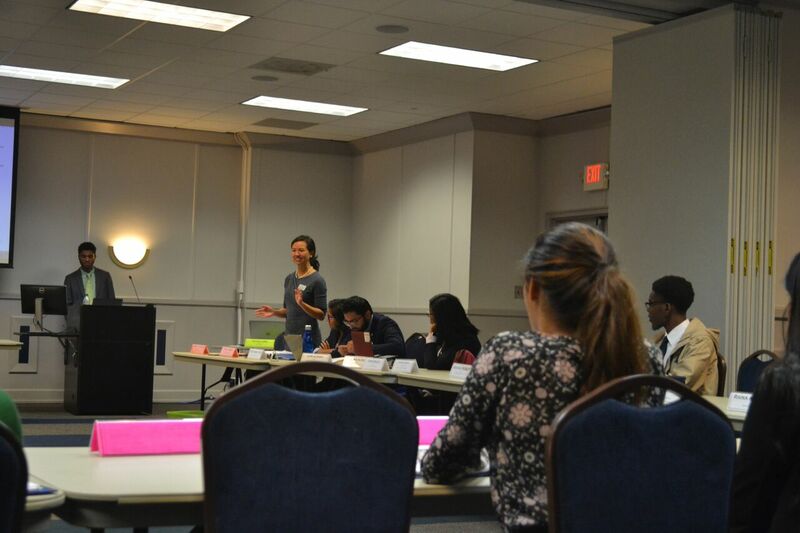 They have sworn in several senators and ushered in new freshmen liaisons, but their biweekly meetings still fall short in attempting to be productive and solve the many issues affecting the student body. At the first meeting held by SGA this year, one representative said they would work to address smoking on campus, an issue that the past six administrations also failed to tackle head-on. At every subsequent meeting, a common motif of dodging the issue has circulated among the senators’ addresses and committee updates. They claim to have spoken to several university officials, but the student body is still left helplessly waiting for tangible results. Transportation and an apparent lack of Panther Express shuttles was one of the major topics discussed prior to the completion of the Courtland Street Bridge project. The issue was addressed by a couple of senators and a queue system was eventually implemented at the Blue Lot at Georgia State Stadium. However, the issue quickly resolved itself after the bridge was completed, and students have seldom complained since. Sen. Jessica Siemer is currently leading an initiative with the Office of Sustainability to roll out reusable takeout containers. So far, other than several already-scheduled events such as Constituency Day, Siemer’s initiative is one of the few projects that has a clear goal and path to attain it. SGA is seemingly running on autopilot: The senate votes “yes” or “no,” almost always unanimously (unless it’s for their own $5,000 polos, as seen at the first university-wide senate meeting), on routine issues and shows up to school spirit events that struggle to bolster a student culture or even impact students, other than the occasional free candy and water handouts. Whenever the senators are asked to sign up for committees, there’s often a long silence followed by one or two senators seemingly reluctantly raising their hand to volunteer for a position. Some of these senators have held SGA positions for over a year, and it’s disappointing to see such a lack of enthusiasm within them. This culture of nonparticipation is what leads to students lacking faith in their leaders. If nothing is being done, and senators continue to be unenthusiastic about participating, then what’s the point of the biweekly meetings? Our school elected the majority of the senators, and to say that they operate fully in service to Georgia State’s students (which they’ve proclaimed several times) would be a lie. We ask that they reach students more and be more involved in bettering the college experience for Panthers at all of our campuses. As we move closer to the end of the semester, we hope that we will not be left wondering what SGA has done for us. When the debates kick off next semester prior to the election, we hope that we will be able to vote not based on popularity but on fulfilled campaign promises and the promise of progress for next year. So this is a very interesting read, considering many of the points made.From its perspective, I can see how many of the instances and examples you list give the conclusion that Georgia State University’s Student Government Association is “on autopilot”. However in truth, this article is not only misinformed, but also lacks the insight and trades the journalistic standards and integrity that many at the Signal have displayed in their works, in exchange for a sensationalist headline meant to grab readers attention. I assume that this article has been written according to behavior seen at the bi-weekly meetings of the ATL Senate and the SECOND University Wide Meeting. I have seen these meetings play out and must agree with your point that “non-participation” IS a serious issue within our Student Government Association. The culture of non-participation IS what leads students to lose faith in SGA and what is the point if no one has drive to do their jobs? If people don’t show up how can SGA defend the voiceless? I believe fully that this editorial hits that point right on the head and sometimes I think that everyone in SGA simply does so just to put it on their resume. But it is here that, your article loses its flare and value. This article skims over many of the silent achievements of the Atlanta Senate. For one this article fails to mention the instance in which during their first MONTH of taking office, President Patterson and Executive Vice President Iqbal met with President Becker to get him and his staff to redo the abysmal commencement ceremony for the College of A&S. It ignores how Liaison Jaylan has been out there answers from new students. It ignores when Sen. Bivins spoke out to support his fellow students who were suffering from mental issues, an article your organization was responsible for putting out there. It ignores how hard Dir. Lazare has been working to tell the stories of our students via our Panthers of Georgia State series. All of these smaller accomplishments that the Student Government has been fighting for on your behalf, yet this editorial tries to paint the Student Government as ineffective and unable to deliver results. Not only does it ignore the Atlanta Senate’s accomplishments but it also ignores other Senates. It seems that you, the author of this article and the Editorial Staff of the Signal,did not do any sort of research when it came to our other senates of SGA, and spread a heinous message not only on this campus, but to all the other Georgia State Campuses. Did you even attend a single of one of their meetings before you wrote this? If so you would have seen the incredibly productivity of the Dunwoody Senate as it not only fought to extend library hours for its students who couldn’t study for finals past 9. Did you know about how on Alpharetta, the senate actually was able to get vegan food options and diverse options for its student base? Did you check to see that Newton was fighting, with only EVP Patel on their campus, to get more police officers to patrol the area instead of just one? Did you even look at Clarkston and how its Senate defended its Muslim, Gay, and Agnostic students when a group of pastors came on campus and beleaguered them this semester? Or did you just take a surface level eye as to what was happening at the entirety of SGA? If you had just taken a moment to ask, instead of accuse you would have seen that Speaker Fye has been working to build a Wall Of Fame at Perimeter College since he ran for President back in March. Had you just looked a bit deeper, you would known that Decatur has only a Vice President who has been holding it down since she was appointed during the summer. But because you were more preoccupied with a hit piece rather than the TRUTH, you were misguided. When you said “to say that they operate fully in service to Georgia State’s students (which they’ve proclaimed several times) would be a lie” that was a blatant lie. I have seen some of the most dedicated and passionate individuals to the cause of defending students and they do not deserve to be ridiculed by this tripe. I agree with you that it may seem like when it comes to our meetings we are dodging responsibilities, but in actuality many of my fellow senators are trying to juggle whether or not they have other meetings to attend at that time. You have chosen to highlight only our bad apples, and ignored many of the people who have stayed in late, skipped class, and have spent weeks earning no response searching for an answer. I do not want a redaction, but I want the editorial team at the Signal to do its job and create the truth by actually seeing what it is the officers do. Go to Dunwoody’s Meeting and enter its library. Stop by Clarkston and see its diverse population. Do more than complain about an issue like smoking and see the bigger picture.